The 1st edition of the International Film Festival of Macau is gearing up to open its doors next month and will feature among its program a look at blockbuster genre filmmaking in Korea. Featuring as one of its three gala screenings will be the new disaster film Pandora, while global smash TRAIN TO BUSAN will be the focus of a panel discussion to be held during the event’s Industry Hub. From financier and distributor Next Entertainment World (NEW), Pandora is the new partnership of director PARK Jung-woo and actor KIM Myung-min, who previously collaborated on the 2012 summer hit Deranged, another disaster picture. Leading the cast this time around is KIM Nam-gil in a tale of a nuclear power plant in a Korean town that begins to meltdown following an unexpected earthquake. Notably, Pandora became the first Korean title to be presold to Netlfix this year when the online streaming giant picked up all of the film’s distribution rights outside of Korea. The film will bow theatrically in Korea in December and be simultaneously released all around the world on the distribution platform early next year. 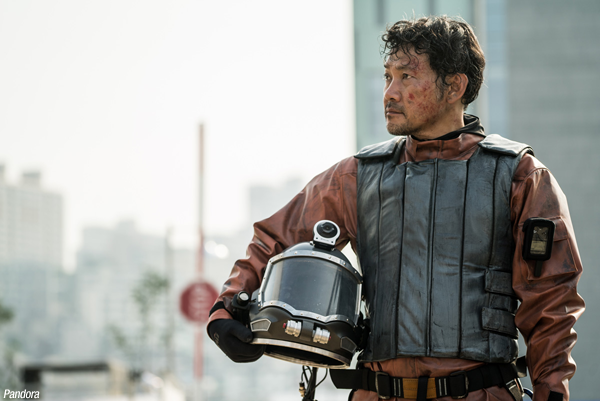 Also from NEW, TRAIN TO BUSAN, the live action debut of celebrated indie animation director YEON Sang-ho, soared to unscaled heights at the international box office this year when it broke records for a Korean film in several markets. In places such as Hong Kong it even became the highest grossing Asian film of all time. In Macau, a special panel called ‘TRAIN TO BUSAN: return ticket to Asian commercial cinema’ will examine the film’s success and whether it could be replicated by other Asian genre titles. Participating will be the film’s producer LEE Dong-ha of Red Peter Films, along with a host of global film executives and moderator Patrick Frater of Variety. Also screening in Macau will be the CJ Entertainment-produced Vietnamese horror title The Housemaid. The festival kicks off on December 8th and runs until the 12th.